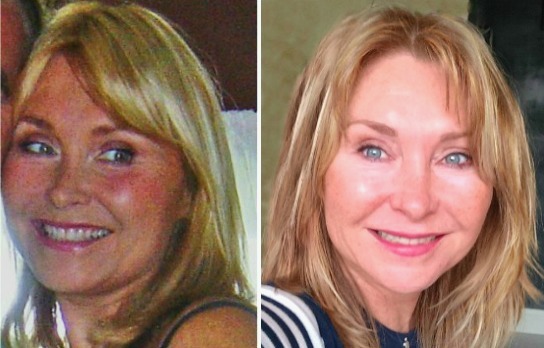 It's my non-surgical facelift secret! I've been doing facial muscle toning exercises for years. 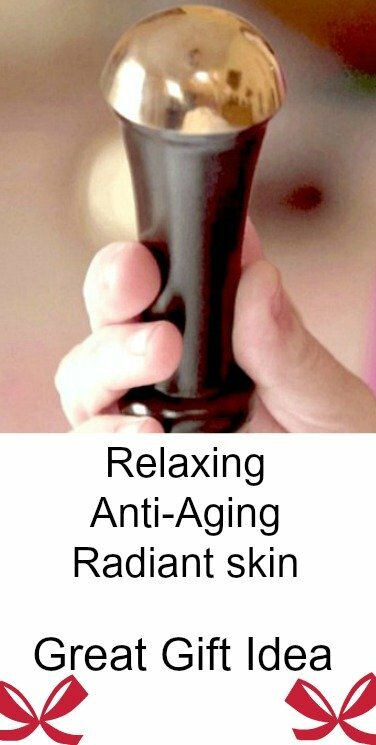 If you've visited Anti-Aging Beauty Zone website before - you've probably already know this. Do they work? You decide for yourself, but I'm very happy with the results. In the picture below I'm eight years older in the after picture. Before and After. Eight year difference between these two pictures. I started looking into and testing facial toning exercise programs back in my late 30s. I bought several different programs and tried them out for a few months. But, I never took the exercises seriously. Until I turned “50 something"! That’s when all sorts of changes started to affect my face. The most noticeable was sagging in the cheeks and neck! I realized those on and off facial workout schedules were not working. I knew I had to get serious! So, out of desperation, I contacted Carolyn, the creator of CFF, whose program I purchased a few years back. I liked her program the best of all the ones I tried because they were quick and the easiest to do. I asked Carolyn for help to get back on track again. After consulting with her, I found my hit-or-miss schedule does not work. You need to do facial muscle toning exercises on a consistent (but NOT too often) basis. She explained that the facial muscles need to time to recover and grow. 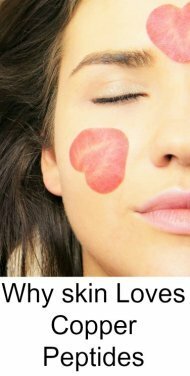 This muscle growth is (in part) what helps with an aging face as it provides that much need volume that we lose in our face - especially around the cheeks. Image, me, actually exercising too much?! But, the solution Carolyn gave me was so simple! Just do her facial toning program 3 times a week, every week, with an even amount of rest days in-between. That's it. 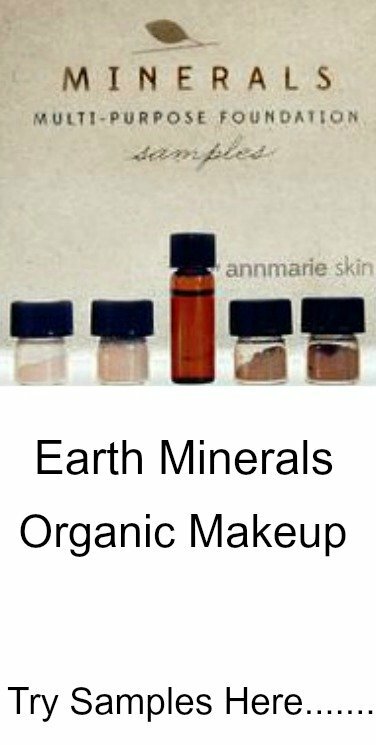 She explained that exercising the face too often can actually break down the important muscles needed to defined cheekbones and create an overall natural face lift and firm to the face and neck. And, of course, too many days off....well you can never really build facial muscles enough to create a nice noticeable lift. She also gave me a few extra tips and told me if I followed her recommendations - I should start to see some results in about 5 weeks. 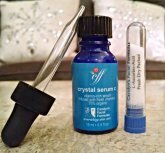 NOTE: While facial exercise helps with skin texture and tone, I also use this Fresh, Organic 16% concentration Vitamin C Crystal Powder/Serum mixture and noticed a huge difference in tone and texture. This serum gets layered under my favorite moisturizer. Oh, Boy Did I See Results! The first thing I noticed were my cheekbones. They seemed just a little more defined, firmer, and higher. I think they're even fuller than they were 8 years ago! By week 4, a few friends started commenting on my cheekbones – asking if I was using a different type of makeup or new highlighter. That’s when I knew it wasn't my imagination or just wishful thinking. Changes were taking place! One of the other areas I noticed a difference was my neck. A good comprehensive facial muscle toning workout should include exercising the neck muscles. Especially those little muscles under the chin - like the geniohyoid, digastric, mylohyoid, stylohyoid. Facial muscle toning neck before and after. Seven year difference between the two pictures. Note: I was also using Carolyn's vitamin C serum on my neck. To my surprise, the big brown skin spot (on my right side- your left side) is gone. You can read more about making vitamin C serum and see more pictures here. But, this is not the end, it’s just the beginning. This means that every few weeks or months, you’ll see these surprising and very exciting changes from your forehead to your neck and sometimes even upper chest area too. Click here to learn more about her facial muscle toning and resistance program. I’m so excited to see what’s going to change next! I’m currently working on firming the lower face and neck. This is a tough area, but I’m confident that Carolyn’s bonus exercises called the Lower Face Lift, will work as she promised. I'm also testing out her new eye exercises (still in Beta) to help alleviate lines under the eyes. But in the meantime, I'm still using my favorite Eye Lift serum (same one I've been using since 2012) to help tame/hide those tiny crinkles under the eyes. It also helps smooth out puffy eyes. Oh, and, by the way, I never have to pay for a consultation or the extra bonus exercises. That’s part of the whole package when you purchase her workout program........ Excellent Customer Service! It’s like have an anti-aging face coach for life. I’m truly grateful for Carolyn’s efforts and hard work as she helps all of us look a better as we get older. Check out her pictures here. She’s in her 70s now and looks younger than she did in her 50s. Just one important message about facial muscle workouts. You should never spot train or mix and match workouts from different programs. I can’t tell you how many people (including myself) have done that only to cause more problems. The muscles of the face are all interconnected. So when you are toning the muscles around the eye area, you are also toning the upper cheek muscles too. Exercising just one area of the face while ignoring all the other parts can lead to an odd or overbuild face causing a strange look. It’s important to follow a program that works all the muscles evenly for a smooth, balanced look. Yes, I know, I post a few free facial muscle toning exercises on this website, but it’s just to give you an example of how gentle and easy they are to do. I am by no means advocating that you only spot treat the area that bother you.......I know it's tempting! Do the whole facial muscle toning program, you’ll be glad you did. P.S. Here is a sample of the facial cheek exercises that I do as part of the whole face exercise workout.